Due to a scheduling conflict, “Charming Charles” will not be performing on the second Friday of February. 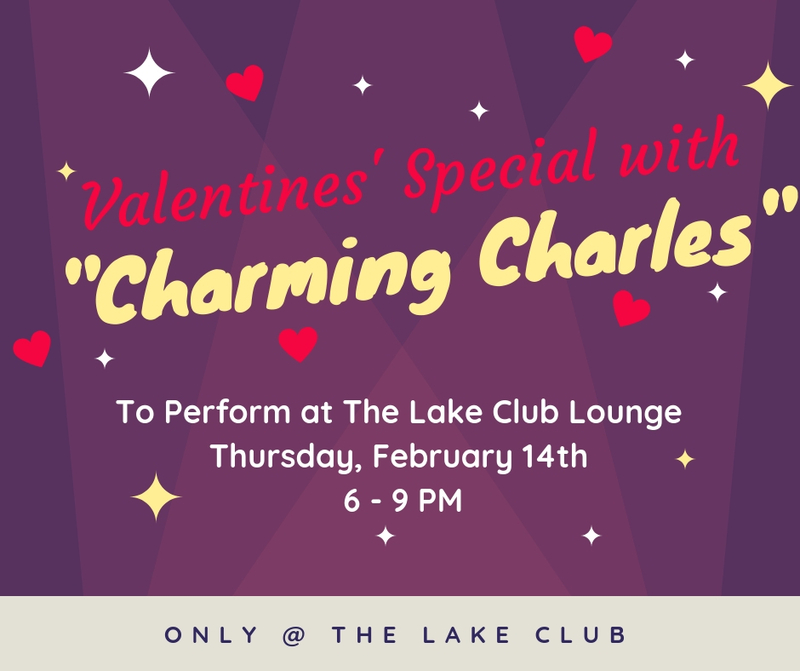 “Charming Charles” has been moved to February 14th for a very special Valentine’s Day performance. Come down to The Lake Club on Valentines’s Day and enjoy live music and food specials.